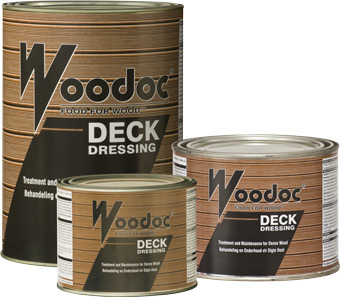 Tinted wood dressing formulated to protect and treat dense wooden decks, such as Balau and Teak, that do not readily accept a conventional sealer. It is ideal for first time treatment and maintenance of these decks. 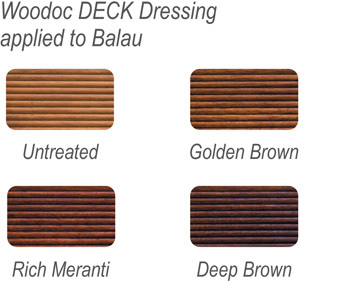 Decks and decking made from dense woods such as Balau and Teak that won't readily accept a conventional penetrating sealer. Also suitable for rough-sawn wood e.g. wendy houses.